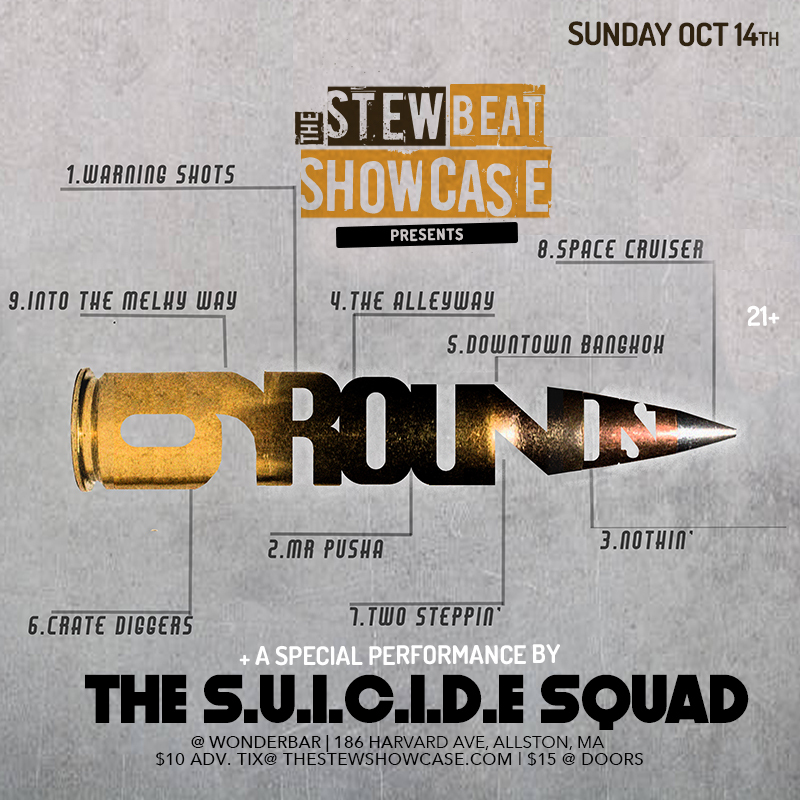 The Stew Beat Showcase Episode 4! 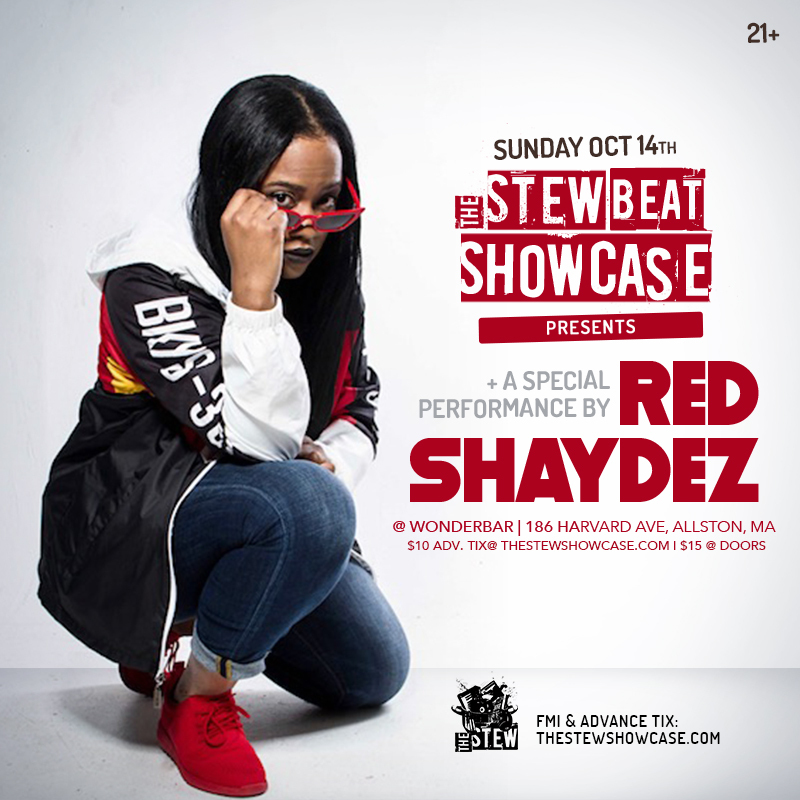 Featured in WBUR 90.9's The ARTery! 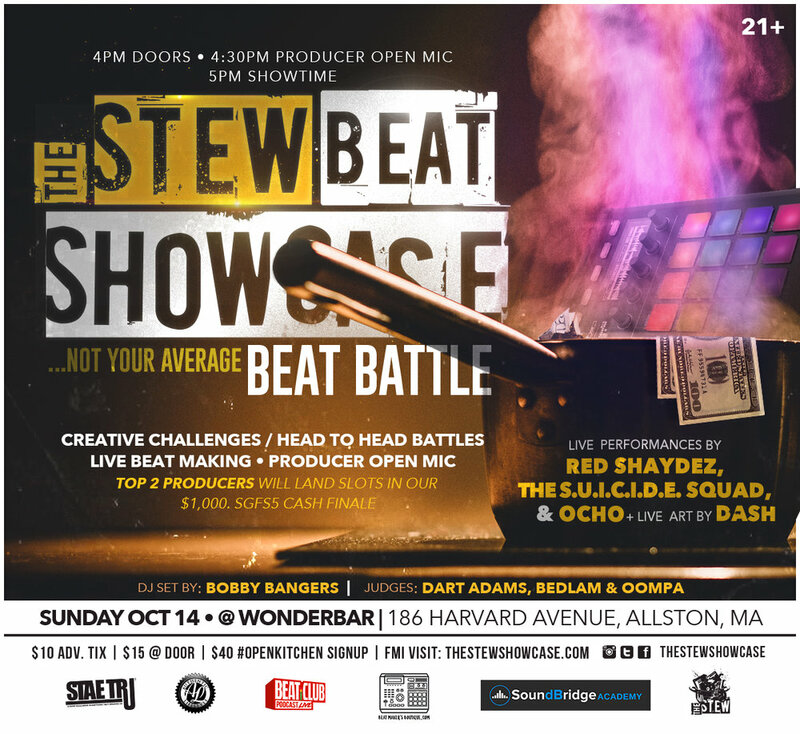 We're on The Show Lab Producer Podcast right now speaking about how we got started with The Stew, the importance of beat battles to the culture as well as future events and endeavors. Huge thank you to Marvin for having us on the show! Be ahead of the game. Register early. Want to register early? Go to Registration & Rules. 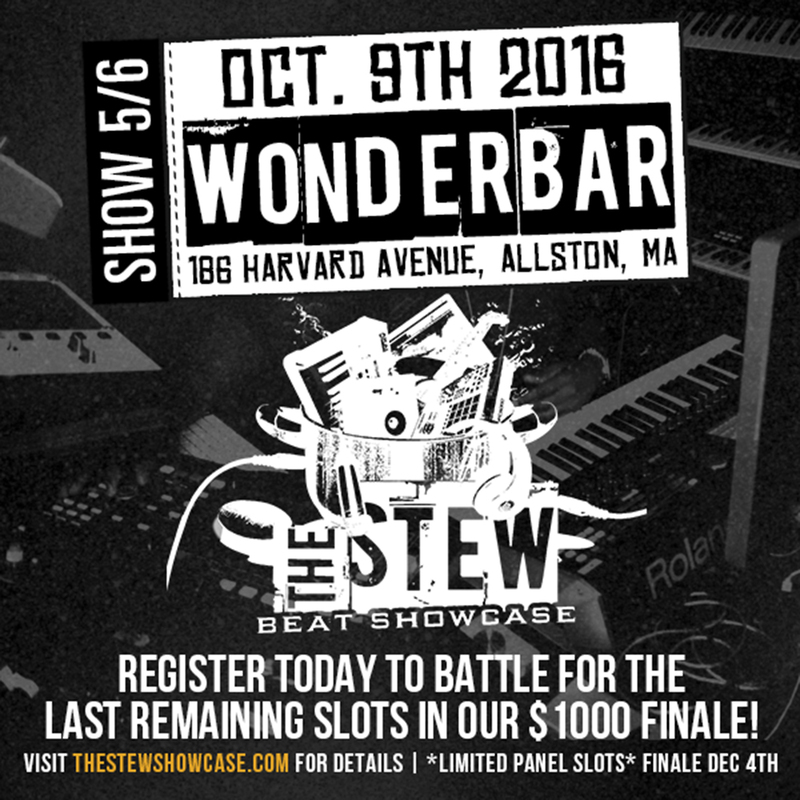 Producers that will be in the New England area AUGUST 7TH, 2016 The Stew Beat Showcase is back with our 2nd-to-last QUALIFIER of the year! Episode 4 of 6. 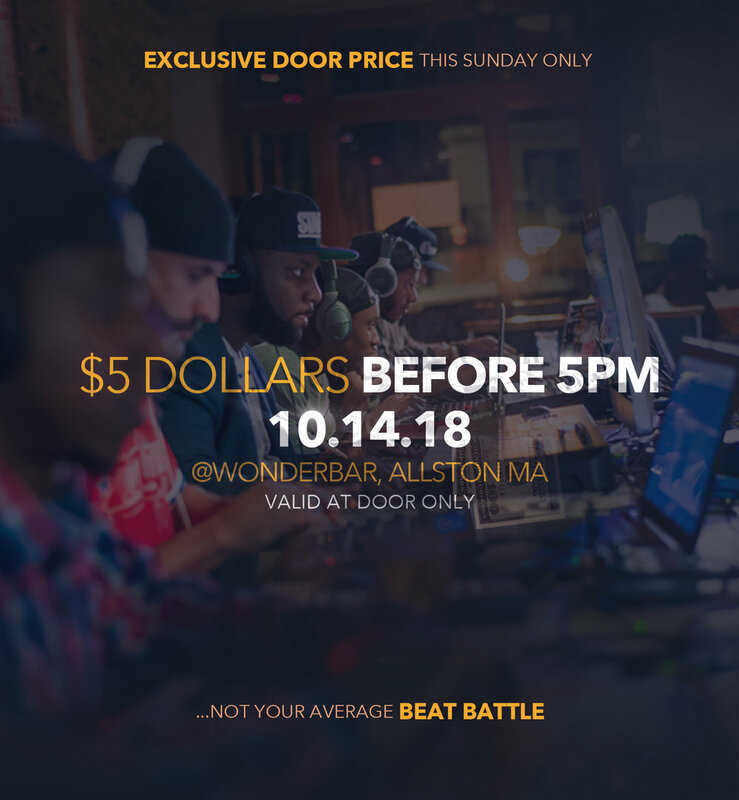 Register now for your chance to battle and win a slot in our #SGFS3 $1,000 cash prize GRAND FINALE!! !